It has been nearly 25 years since Brett Kavanaugh arrived at the Supreme Court as a law clerk for Justice Anthony Kennedy. A few years later, Kavanaugh was back at the court as an advocate, arguing (unsuccessfully) that Kenneth Starr, the independent counsel for the Whitewater investigation, should have access to notes taken by a lawyer for former White House counsel Vince Foster in a conversation with his client shortly before Foster committed suicide. 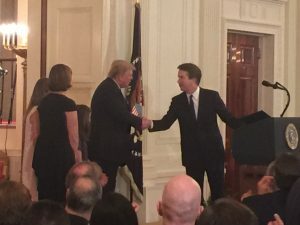 Kavanaugh could return to the Supreme Court in the fall, this time as a justice: Tonight President Donald Trump nominated Kavanaugh to fill the vacancy that will be created on the court when Kennedy retires on July 31. If, as is widely expected (and Republicans hope), Kavanaugh proves to be more conservative than his former boss, the Supreme Court could shift further to the right on a variety of high-profile issues, ranging from reproductive rights to affirmative action. Trump’s nomination of Kavanaugh capped a whirlwind process that began on the afternoon of June 27, when Kennedy announced his plans to retire. Kavanaugh had long been regarded as a possible Supreme Court nominee in a Republican administration, but there were rumors that his stock might have fallen in the past few days, because of concerns that his views might be too moderate, that he has too many ties to the Bush family and that he had once argued that a president should be impeached for lying to his staff and the public. Senate Majority Leader Mitch McConnell had reportedly urged the president to choose another nominee with a shorter paper trail than Kavanaugh, whose nomination could require senators to review millions of pages of documents. The 53-year-old Kavanaugh is the consummate Washington insider, well-liked in the city’s legal community. Kavanaugh has lived in the D.C. area for essentially his entire life: He was born in Washington and raised in Maryland and, like Justice Neil Gorsuch (who graduated two years after him), attended the Georgetown Preparatory School, a prestigious Catholic boys’ school in Rockville. 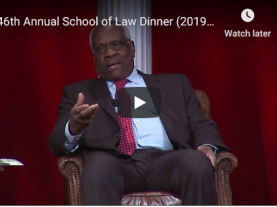 He left the D.C. area to attend Yale College and Yale Law School, graduating from the latter in 1990, followed by clerkships on federal courts of appeals in Delaware and California. He returned for a fellowship in the office of then-U.S. solicitor general Kenneth Starr, followed by the Kennedy clerkship. Kavanaugh would go to work for Starr again in the Office of the Independent Counsel, where he played a key role in drafting the Starr Report to Congress, which outlined 11 grounds for the impeachment of then-President Bill Clinton. Kavanaugh then praised retiring Justice Anthony Kennedy, describing him as someone who “devoted his career to securing liberty.” Kavanaugh said that he was “deeply honored to be nominated” to fill the justice’s seat on the Supreme Court. The rest of Kavanaugh’s remarks were personal and heartfelt, focusing on his family and describing himself, in essence, as a suburban “Everydad.” He noted that, when he was a child, his mother taught history at two predominantly African-American high schools in Washington, D.C. – an experience that taught him, he said, “about the importance of equality for all Americans.” Martha Kavanaugh went to law school when her son was 10 years old and became one of the first female prosecutors in the area. While practicing her closing arguments at the dinner table, his mother’s “trademark line” was “Use your common sense. What rings true? What rings false? That’s good advice for a juror, and for a son,” Kavanaugh suggested. Kavanaugh’s father went to law school at night while also working full-time, he recounted, and passed on his work ethic and his love for sports. Kavanaugh introduced his daughters, both avid athletes, and his wife, whom he met while both were working in the Bush White House. Their first date, he told the crowd, was on September 10, 2001; the next day, they sprinted out of the White House together when it was evacuated after hijacked planes crashed into the World Trade Center towers in New York and the Pentagon in Virginia. 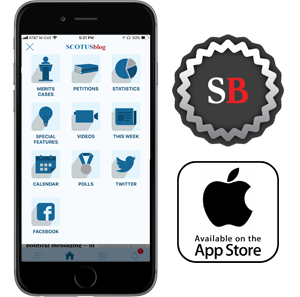 The confirmation hearings for Justice Neil Gorsuch began roughly a month and a half after he was nominated. Senator Charles Grassley of Iowa, the head of the Senate Judiciary Committee, recently suggested that the confirmation hearing for a nominee with a lengthy track record – which Kavanaugh certainly has – could take longer, so that Kavanaugh might not be confirmed before the Supreme Court reconvenes in October. This post was cross-posted from Howe on the Court.